For more than 30 years, the legendary Telluride Bluegrass Festival hasbeen thrilling audiences. Year after year, people continue tocome back for the unique spirit of this 4 day festival, taking placein mid-June. Come experience the amazing music and magical energy that the Telluride Bluegrass Festival produces. Overview: As one of the most popular and spectacular bluegrass festivals around, the Telluride Bluegrass Festival should not be missed. The festival attracts people from all over the globe not only for the music, but for the amazing spirit that Telluride has. With over 30 musical acts, the festival offers all-star lineups and unique pairings of musicians. For performers, the Telluride Bluegrass Festival is a thrilling place to come, with so many talented peers around and enthusiastic crowds. Cost: Tickets are sold as 4-day passes, or you can purchase single day tickets. Just be sure to buy your camping or parking passes at the same time, as they are sold separately. Details: Telluride is the ideal home for such a festival, as the entire town shuts down to non-local traffic in order to facilitate the event. You can park at the festival lots right outside of town, or if you wish to camp, there are campsites in several different locations within close proximity to the festival. Once inside the festival, seating is general admission, so bring a blanket, tarp, or lawn chair and take in the wonderful music. The festival runs daily from 10am to around midnight, but there is always something more going on. 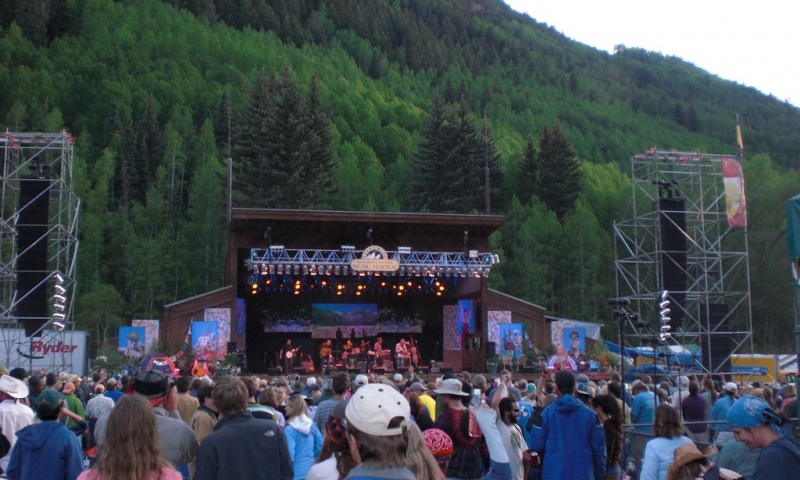 There are small workshops in the Elks Park stage in town, jam sessions, and late night "Nightgrass" concerts at several indoor venues in Telluride. Come and Get It! Great for families, Bar D Chuckwagon will leave you entertained and sweet from BBQ sauce.